Many countries mark October as the Breast Cancer Awareness month, with the aim to disseminate more information about the leading cancer among women, as well as promote an early detection. Breast cancer is the most common cancer among women. Some risk factors have been identified but there are no specific causes leading to this condition. Many higher income countries have implemented cancer screening programs as early detection is still the main way to increase the survival chance. The incidence of breast cancer is nearly 90 cases per 100 000 people in Western Europe, while in most developing regions is below 40/100 000. Therefore, breast cancer is seen as a disease affecting mainly higher income countries – which is true – however, rates among lower-income countries are increasing at a faster pace, as life expectancy increases as well in such regions. The survival rates also vary according to different regions in the world. In North America is 80% or higher, while in low-income countries is below 40%, mostly due to late detection. Genetics, woman’s reproductive timing and some lifestyle choices can increase the chances of developing breast cancer. For instance, a familial history of breast cancer is a sign to pay attention to; reproductive factors like an early menarche, late menopause, late age of first childbirth and exposure to endogenous estrogens are also important risk factors. Alcohol use, obesity, overweight and physical inactivity can be the reason for around 20% or breast cancer cases, according to a study from 2005. Breast self exams and clinical breast examination can provide some preliminary leads but the most effective way to detect breast cancer is by doing a mammography. Normally, women without risk factors should start doing the mammography exam after turning 35, each 18 months until the menopause. After the menopause the periodicity should be every 2 years. Contact Medical Port if you are living in Portugal and don’t know where to go to do a mammography. For a thorough analyisis on women’s health, we also provide a gynaecological check-up. Since August, Portugal is one of the few European countries to have legislation on surrogacy. In some countries like France, Italy or Spain, this process is forbidden, while the law varies among other European countries where it’s legal. Heterosexual couples and lesbian couples. What are the main requirements? Surrogacy is only legal when women suffer from a medical condition that leaves them permanently incapable of becoming pregnant, for instance, when the woman doesn’t have an uterus. All the process of surrogacy can only happen on a voluntary basis. It is punishable by law to pay or being paid for surrogacy, except for the expenses involved in the process. The surrogate won’t have any right over the child once it’s born. The conception via assisted reproductive technology must involve gametes from at least one of the members of the couple requesting the surrogacy. Surrogates cannot be a donor for the process of surrogacy involving themselves. Having Portuguese citizenship or living in Portugal are not requirements for surrogacy, which means foreigners, both the couple and the possible surrogate, can come to the country and undergo the process just like any Portuguese citizen. However, all the process of Assisted Reproductive Technology (ART) must be done in Portuguese centers and the contract signed between the couple and the surrogate must be written in Portuguese. A recent report published by the World Health Organization (WHO) places Portugal on the 8th place in the ranking of countries with the highest percentage of GDP spent on Health and medical science research and development (R&D). In 2015, Portuguese Manuel Sobrinho Simões was considered the most influential pathologist in the world. You can read more here. The Champalimaud Foundation is a worldwide reference for oncology. It counts on experts and researchers coming from all over the world. In 2012, the Centre was named the best place worldwide (outside the USA) to do postdoctoral work, by the international journal, The Scientist. One the of the branches of the Foundation, the Center fort he Unknown is directed by Professor Zvi Fuks, a precursor of innovative radiotherapy techniques like the Single Dose Image Guided Radiotherapy (SD-IGRT). Click to learn more about Champalimaud Foundation. Miguel Seabra is Seeds of Science awardee, for his work on one of the types of blindness. Portugal offers a welcoming and highly professional environment for your medical experience abroad. Contact us via email info@medicalport.org or call us on +351 211 379 718 if you are looking for medical treatments abroad and learn how we can help you to reach the best hospitals and clinics. Lisbon and the Algarve region feature once again among the top-ten destinations to retire abroad, according to editor of Live and Invest Overseas. It’s not the first time that Kathleen Pediccord, from Live an Invest Oversees chooses Portugal as a favourite for those seeking destinations to retire abroad. This time the author includes not only the Algarve but also Lisbon. 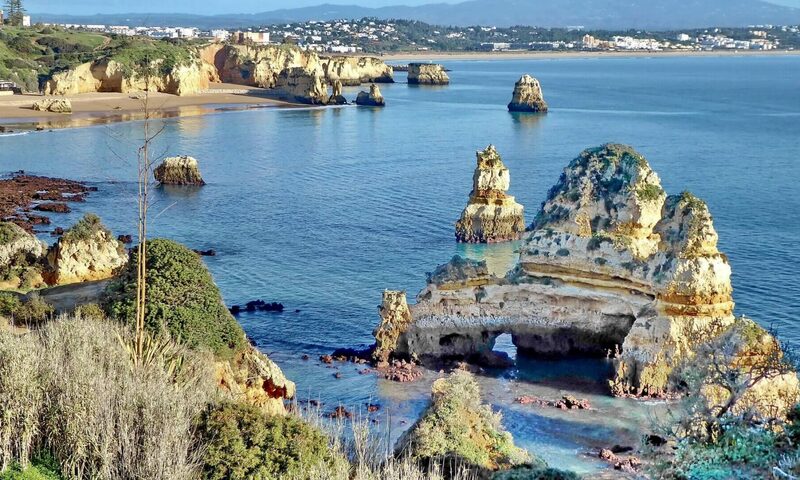 The Algarve comes first on the list and is often feature on similar rankings. The author calls it “Europe’s most famous secret”. The region is described as a budget destination, but with a lot ot offer: Europe’s best beaches and golf courses and over 3000 hours of sunshine per year, withing a friendly and welcoming “land of cobblestoned streets and whitewashed houses with lace-patterned chimneys, surrounded everywhere by fig, olive, almond and carob trees.” What’s there not to like? The european capital is often on the news for the best reasons: tourism, culture, food, safety, “coolness”, among many other features. The article emphasizes the hospitality and friendlinness of the city and the people, a recognized Portuguese trait. The city is described as sophisticated, offering a view to the past. The location by the beach, warm and sunny weather and excellent food are some of the other reasons that place the city in the top ten ranking. Additionally, Lisbon has already an established expat community, which may make it easier to settle in. Thinking about retiring in Portugal? Do not forget about healthcare. At Medical Port, we can advise you about your health insurance option, help you to identify the most suitable healthcare provider for your needs and support on other needs related to your relocation. Email us your questions at info@medicalport.org. Portugal continues to give positive signs of economic growth and increases its attractiveness for foreign investment. Tourism remains a boost to the economy. Portugal came 4th worldwide in for most tourist-friendly destinations in the latest ranking from the World Economic Forum, providing quality touristic infrastructure and services to visitors and internal and international security. This country is recognized as one of the safest in nations in the world. According to the latest quaterly report from the European Travel Commission, safety is one of the main concerns of tourists when choosing where to go, and Portugal is among the fastest growing destinations in Europe. During a recent visit to Portugal, Pierre Moscovici, the European commissioner for Economic and Financial Affairs, Taxation and Customs, congratulated Portugal on the impressive economic progress that the country achieved after the crisis, emphasising the growth of foreign investment and the role of tourism. Indeed, Portugal’s attractiveness is increasing among investors. The report from the consultancy firm EY (part of Ernst&Young) reveals that Portugal is one of the European countries attracting higher investment intentions. The social stability, workers’ qualifications and labour costs are the three most attractive aspects for investors. Hernias are a common health issue. They can take years to develop of appear within a short period of time. Either way, hernias always require surgery to get fixed. Our customer Eugénia Nascimento, from Angola, was among those suffering from hernia who sought the expertise of Dr. Miguel Pinto, a worldwide renown specialist in Hernias. In order to reach Dr. Miguel Pinto, Ms. Nascimento got in touch with Medical Port. We assisted throughout the process of coming to Portugal to eventually get the hernia surgery she needed. The surgery took place at Hospital Lusíadas, a Medical Port partner. If you are suffering from a hernia, you should consult a physician. If, like Ms. Nascimento, you wish to do this procedure in Portugal, let us help you. Looking for a medical second opinion isn’t about mistrusting your doctor, it is about being aware about your health status and alternatives and making informed decisions when faced with a complex diagnosis. A second opinion can be used to confirm a health condition or to verify the best treatment option for an established diagnosis. As in any other field, errors can happen due to complexity of cases or lack of deep expertise and practice. It’s hard to quantify the number of misdiagnosis, but an often quoted study from the American Journal of Medicine claims the rate of misdiagnosis can vary between less than 5% up to 15%, depending on the medical field. Getting a second opinion is, therefore, a valuable resource. It will guarantee you an external point of view that may see something the previous doctor missed, complement the existing diagnosis with useful details and/or advise on other treatment options. On the contrary, if a second opinion confirms all that has been previously diagnosed, it is also an extra reassurance for the patient. Click on the image to be redirected to our webpage dedicated to Clínica Universitária de Navarra. It is also possible to get a second opinion remotly. At Clínica Universitária de Navarra , one of the best private hospitals in Spain, the doctors will analyse your recent medical exams and medical history and provide you with an evaluation within a maximum period of 15 working days. The doctors also contact you to explain their diagnosis and their opinion about the alternatives you have to deal with your medical condition. Contact us if you wish to get a medical second opinion from Clínica Universitária de Navarra. Portugal goes beyond Lisbon, Porto and Algarve. During the last few weeks regions like Alentejo, the Azores and Setúbal have hit the spotlight as well. After the city of Oporto was nominated “Best European Destination” , another two distinctions come from the renowned website: Praia dos Galapinhos was elected the most beautiful beach in Europe and the Azores won the category of Best Landscapes. Praia dos Galapinhos is located in Setúbal, south of Lisbon. Crystal blue water and white sand, sided by green nature. What’s there not to like? The website recommends you to visit not ony this beach but admire all those located in the Nature Park of Setúbal. Azores, the common name for the group of nine volcanic islands and the highest mountain in Portugal will surely leave anyone impressed. The never ending green landscapes, beautiful lakes, and vulcanoes have granted them the title of most beautiful landscape. Perfect for nature lover travelers. Alentejo features among Lonely Planet’s top 10 places to visit in 2017. “Looming clifftop castles, rugged coastlines and a treasure chest of culinary wonders: Portugal’s Alentejo has magnetic allure.” That’s how the Lonely Planet describes the region, adding to the list the different Unesco World Heritage sites in this area, the rolling vineyards and mediaeval village centers. Medical Port CEO Belén de Vicente was a guest speaker at the Medical Travel Summit in Croatia, an event organized by the International Medical Travel Journal (IMTJ). The Medical Travel Summit in an event for senior-level professionals working in the medical travel sector and international patients market. Through different panels, guests were invited to share their knowledge and best practices for the future, while addressing the main concerns of this industry. Belén de Vicente, from Medical Port, presented her experience at the workshop about facilitators. The workshop was moderated by Elizabeth Ziemba, an expert in the industry. Belén de Vicente talked about the added value that medical travel facilitators bring to the parties involved (insurances, clients and healthcare units) as well as upcoming challenges. The knowledge and expertise gathered by Medical Port along its 5 years of operation were also presented. According to Belén de Vicente “The presentation generated genuine interest among the attendance because in a market that is clearly a niche – against all the forecasts from the international consultancy companies and the American Medical Tourism Association – the experience of the few ones that have been able to sustain and grow their business is extremely relevant”. The event took place in Croatia from 25 to 27 April and welcomed hundreds of people. Nominated three times and three times winner, setting a new record. The city of Porto is once again the Best European Destination. “Never has the choice of the winning city been so unanimous among travellers from all other the world”, that’s how the annoucement of the winner starts. With votes coming from over 170 countries, Porto was the first among 19 destinations that included remarkable european capitals like Paris, Rome or London in the competition pomoted by the European Consumers Choice, an organization of consumers and specialists. Torre dos Clérigos: The icon of the city of Porto. After climbing nearly 250 stairs, you will be rewarded a unique 360º view of the city. Serralves: Fundação Serralves hosts an impressive modern art museum, surrounded by 18-hectare gardens where you can also find see some artwork by contemporary artist along with the plants and trees. Casa da Música: “Casa da Música” means “House of Music.” An internationally praised building with modern, futuristic architecture, home to music and other events that will surely impress you. Douro river & wine warehouses: Visit the port wine warehauses at the other side of the Douro river, in the city of Gaia, and take the oportunity to gaze at the colouful houses fitting in each other, with the beautiful D. Luís bridge also within your view. All this while enjoying a glass of Port. Francesinha: Not the healthiest option but it can’t hurt once in a lifetime. A sandwich with multiple layers of meat, covered in cheeses and soaked in a beer sauce, ranked among the best sandwiches in the world. And if you want to know more about Porto gastronomy, stay tuned! Anthony Bourdain is currently in the city shooting an episode of his CNN travel and food show “Parts Unknown”, which means we will be seing more of this side of Porto in the future. Are you visiting o living in Porto and want to also take some time for your health? Medical Port’s network of partners extends to this city as well, offering multiple speciality consultations, a large variety of check-ups options and fertility specialists. Visit our website or contact us for more information!